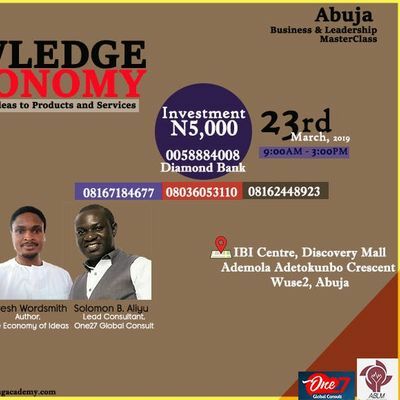 Take advantage of the Knowledge Economy Abuja Masterclass. THE DIGITAL AGE HAS USHERED IN A NEW, SUPER-INTELLIGENT ECONOMY: THE KNOWLEDGE ECONOMY! 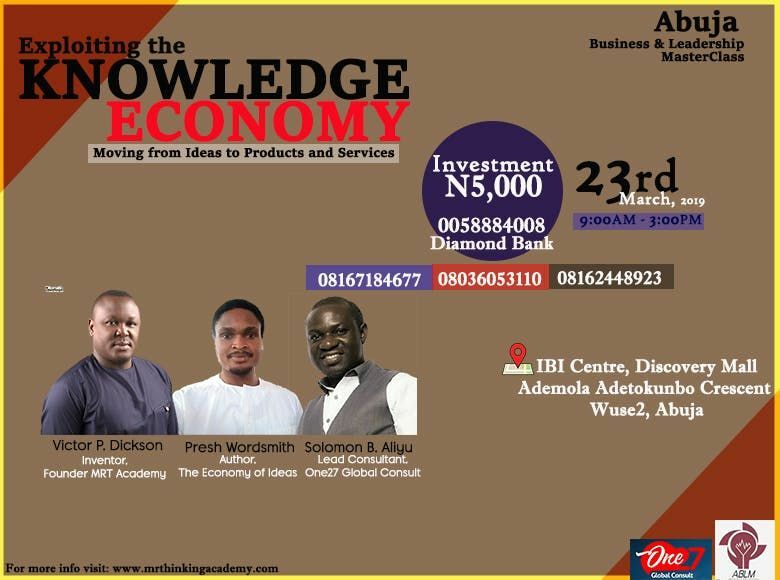 The knowledge economy is a system based around Intellectual Capital, or brain power. The recent explosion of technology has transformed everything. It makes sharing information quicker and easier. With all this knowledge being shared, technology has become increasingly powerful. The engine that drives the knowledge economy is education. You can think of education as an investment in knowledge. You put time and money in and you get knowledge out. But if businesses are to succeed, education can’t be restricted to schools and universities. Every area of life needs to be an opportunity for intellectual growth. This program will help you achieve enormously. For businesses to thrive in the modern economy, they need as much knowledge as they can possibly acquire. We now live in a world where the most successful businesses prioritise intellectual capital over financial capital. Creating a company culture in which knowledge can be shared quickly and easily is the secret to success. Date: 23 March, 2019Venue: IBI Centre, Discovery Mall, Ademola Adetokumbo Crescent,Wuse 2, Abuja.